The qualification criteria has been set out for snooker’s Champion of Champions 2018, to be staged at Ricoh Arena, Coventry this November 5-11. A total of 27 spots make up the 2018 Qualifying List, which is split into five sections. Tournaments within each of the five sections are listed chronologically. The first 16 different players on the list will form the line-up for the Champion of Champions. Winners of events in the first two sections listed will be guaranteed an invite to Coventry. 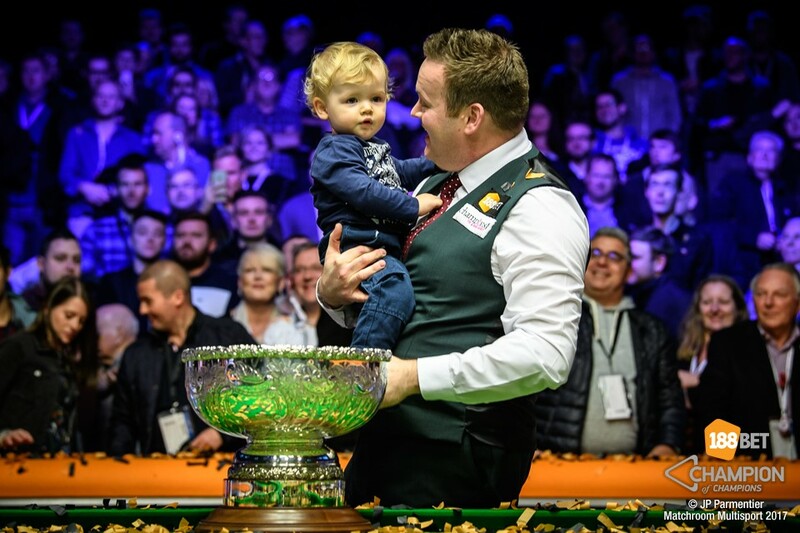 These are the defending champion Shaun Murphy along with the winners of the three ‘Triple Crown’ events – the World Championship, The Masters and The UK Championship. The second section comprises major events from the World Snooker Tour including the Championship League, which is also promoted by Matchroom Multi Sport. Section three is the Home Nations tournaments. As Ronnie O’Sullivan (UK Championship and Shanghai Masters) and Mark Williams (German Masters and Northern Ireland Open) have both already won two events on the Qualifying List, Scottish Open winner Neil Robertson is now also assured entry to the Champion of Champions. The fourth section is the remaining World Snooker ranking events, with the exception of the Snooker Shoot Out, which is the first tournament listed in section five, which also includes the Romanian Snooker Masters and the 6 Reds World Championship. The World Snooker Championship runner-up is listed in section four. Any further tournaments added to the World Snooker Tour to be staged before the Champion of Champions will be placed on the list in the appropriate section. Tickets for the 2018 Champion of Champions are on sale now at http://www.championofchampionssnooker.co.uk/tickets/, priced from just £11. Premium and VIP packages are also available.